An extremely versatile two pack general purpose polyester mortar which exhibits a very fast set and rapid strength gain surpassing the average strength of concrete within 1 hour. 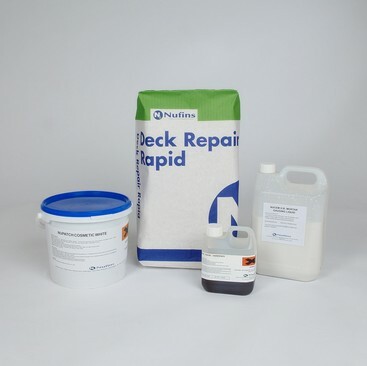 Ideal for small general repairs where the rapid set allows the minimum of disruption. Confil Mortar is designed to comply with the requirements of EN1504 Part 3 Class R3. Available in 5kg and 25kg. Repairs to damaged precast units. Repairs to spalled concrete roads, runways, etc. Fixing or bedding of copings and kerbs etc. Bedding and raising of manhole frames. Repairs to stair treads and arrises. Quick curing, high early compressive, flexural and tensile strength. Economic - quantities mixed as needed, therefore very little wastage. Supplied in polythene buckets, which act as mixing vessels. Excellent chemical and water resistance. Simple to use - no critical mixing ratios. Will cure down to 0oC. Available in two grades standard and rapid set. Complies with EN1504 Part 3 Class R3. To download the Confil General Purpose Mortar Technical Data Sheet click here. To download the Confil General Purpose Mortar Safety Data Sheet click here.